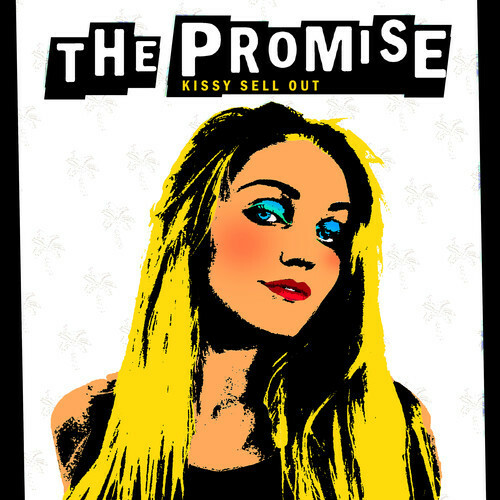 Following the 2009 synthpop-driven debut album Youth, 2011’s quirky electro-centric follow up Wild Romance, and a slew of singles, Essex producer/DJ Kissy Sell Out (real name Thomas Bisdee) is about to release a brand new EP entitled The Promise. Known for his eclectic mix of sounds and styles with which he performs on four-decks at live events, on the EP’s title track and lead single, Kissy Sell Out delivers a sleek, 90’s UK garage-flavoured house tune. No stranger to dance music’s myriad of sounds and styles, from 2007–2012, Bisdee hosted a hugely successful BBC Radio 1 show called the Kissy Klub and became an influential force in the developing electro scene not just as a producer but as a taste-maker also heading up San City High Records (home to Zeds Dead among others). Employing the vocals of Holly Lois and throwing in some tasty Todd Edwards-style vocal warping, The Promise, though clearly 90’s in character, is a timeless / classic house number that sounds as “now” as it does retro. Its vocal production work along with plunky organ rhythms gives the song its soulful UK garage feel while its driving house-beat is straight up and banging. So, if there’s one thing consistent about Kissy Sell Out’s varying output, it’s his obvious love of pop (as evidenced on the two full-length albums) and The Promise is no exception. The Promise perfectly sets up anticipation for the upcoming EP. You can bet you’ll be hearing this one in clubs and on Radio 1. The Promise EP will be released on 19, May 2014 on San City High Records.